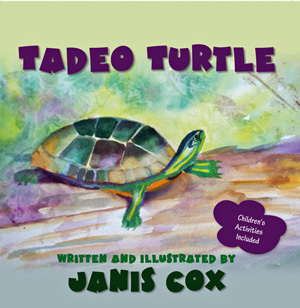 Creative Saturdays - Stained Glass Tadeo Turtle. I hope you tell me when you do; maybe I can be a part of it. I’ve always loved that stained glass effect from tissue paper and glue. The sun makes a brilliant mosaic in the window when they are all on display! I think it is amazing how it shone even though is was dark when I took the picture. I love the shiny way the glue gives to the craft.